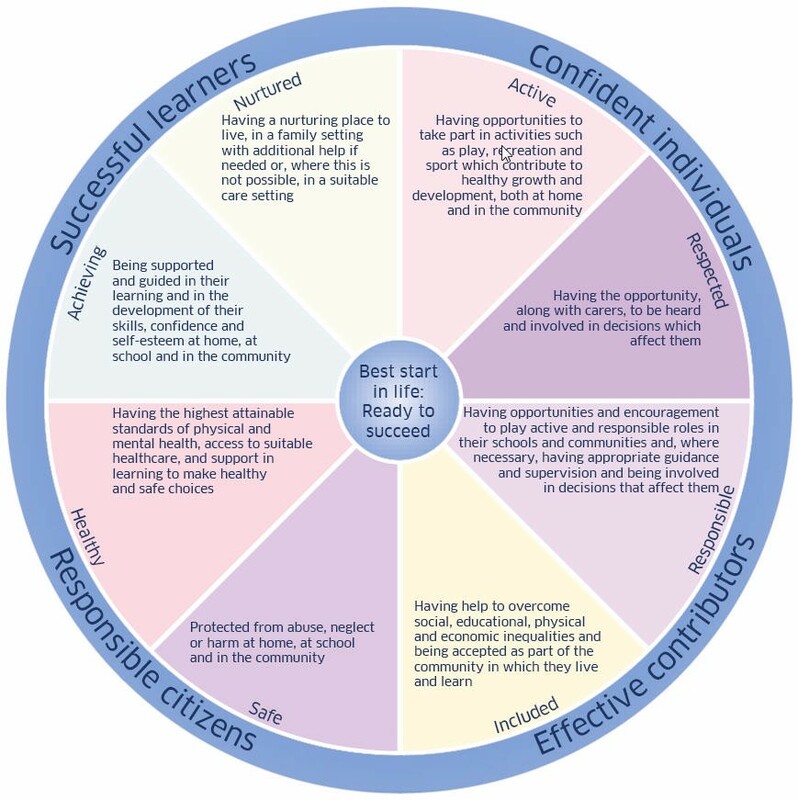 'Getting it right for every child' focuses on what we as a school can do, in partnership with our pupils, parents/carers, and sometimes other agencies, to make a positive difference for our children and young people. The principles of GIRFEC allow us to have in place a network of support to promote wellbeing so that children and young people get the right help at the right time. This help may range from targeted and focused support within school to external agency support, such as health or social work. The Getting it right approach includes making a Named Person available for every child, from birth until their 18th birthday (or beyond, if they are still in school). Most children and young people get all the help and support they need from their families, from teachers and health practitioners, and from their wider communities – the Named Person does not change these roles. However, some families may need extra help and that's where the Named Person comes in. For secondary school children, a member of school staff already known to the family, usually takes the role of Named Person, such as one of our Pupil Support or Additional Support Needs teachers, our Support Worker, or one of our Depute Head Teachers. This means that the child and their family have a single point of contact who can work with them to sort out any further help, advice or support if they need it. Once a concern has been brought to their attention, the Named Person will take action, help, or arrange for the right help in order to promote, support, and safeguard the child’s development and wellbeing. When two or more agencies need to work together to help a child or young person and family, there will be a Lead Professional to co-ordinate that help.